Here in the BlueStacks blog, we tend to skip casual titles and other games that people mostly play as time killers. Instead, we like to focus on those big games that require you to think and work toward a difficult goal; in other words, games that have a bit more meat on their bones. However, in our tireless search to bring you the best games in the market, we sometimes run across titles that, despite their simple and casual nature, are still very engaging in their own right. Today we’ve come to show all of you a little gem that we’ve recently dug up. 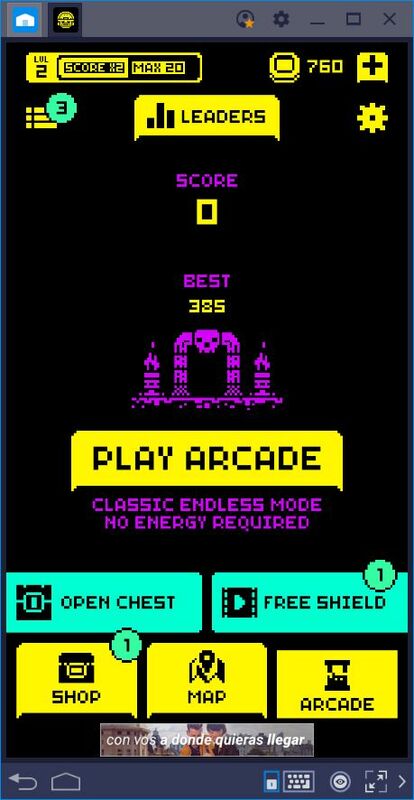 The game is called Tomb of the Mask and was developed and released by Playgendary several months ago. Now, you might not be familiar with this developer since they focus exclusively on smaller, casual titles such as Partymasters , Tank Stars , Golfmasters , and Pixel Builder , among others. However, Tomb of the Mask is among their latest releases and is receiving positive attention from their audience, and with good reason! So without further ado, let’s go ahead and see what the fuss is all about! 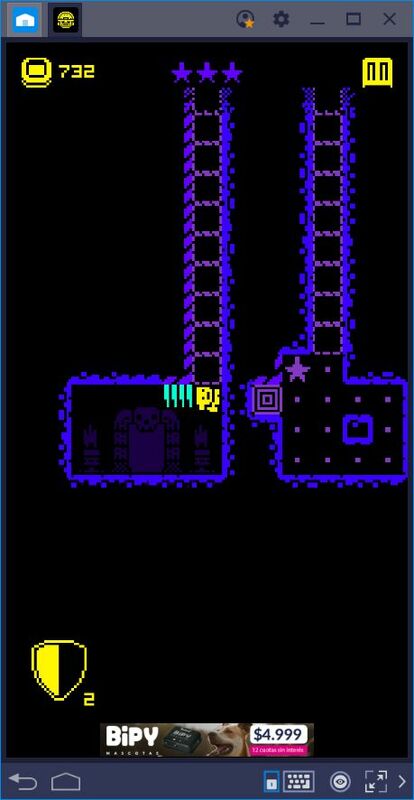 Tomb of the Mask is a challenging real-time arcade puzzle title with procedurally generated mazes. While exploring a perilous dungeon, the brave explorer finds a mysterious mask which, after putting on, allows him to effortlessly climb on walls. Thanks to these events, the explorer can now dive into many dungeons, braving their depths for a chance to obtain untold riches. Like in many other casual games, the story is there merely to give a bit of context to the character’s actions. Furthermore, in Tomb of the Mask, it is quickly flung aside in lieu of mindless fun, which is great. After all, we can’t really imagine someone playing a game like this one for the story; that’d be like playing Candy Crush or Cut the Rope for its “engaging” narrative! The objective on every level is to navigate through the labyrinth and reach the goal, which is represented by a large square icon. Your character’s movements are smooth and quick and are performed by swiping the screen in any of the four cardinal directions. You can use BlueStacks to significantly improve your gameplay with a better control scheme, but we’ll talk about that on another occasion. Nevertheless, your character can only move in extremes; once you start moving in one direction, you will never stop until you either hit a wall or run into some spikes. The hazards in every stage make it important for you to think before moving. Like in many other arcade games, every stage is different in Tomb of the Mask. Each level is riddled with different hazards, paths, and other elements that you’ll have to keep in mind if you want to succeed. Furthermore, in true mobile game fashion, there is an energy system that limits the time you can play if you run out of lives. In total, you can store up to 5 lives, each of which takes 30 minutes to regenerate upon a loss. 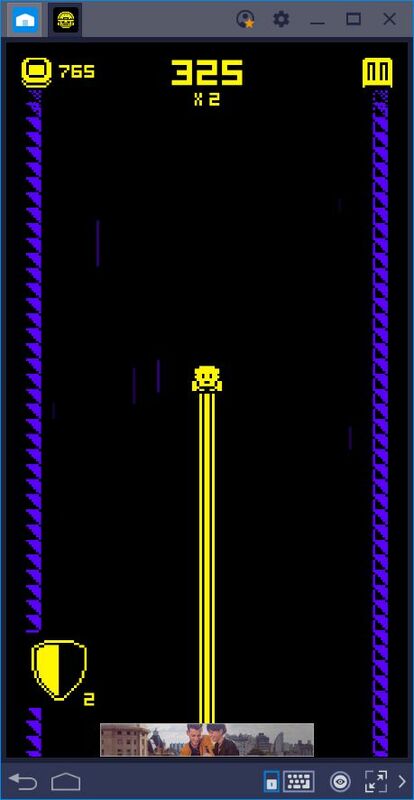 In the later stages of this title, you will likely only play for a few minutes before running out of lives since the game can become quite difficult. However, we didn’t really mind the energy system since the game isn’t really designed for long gaming sessions. Fortunately, there are two game modes in Tomb of the Mask. The main stage mode, which requires energy and consists of what we’ve described so far, and the arcade mode, which doesn’t require energy. The latter is great for gamers who want to spend more time in this game since there are no limits to how many times you can enter, and is very challenging as well. 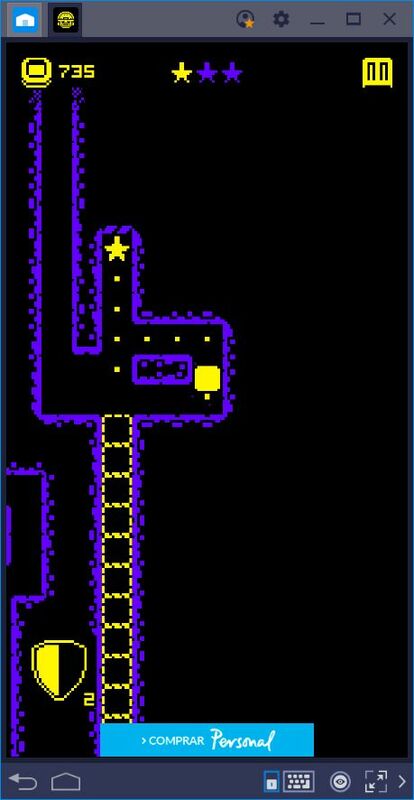 Arcade stages consist of procedurally-generated mazes riddled with hazards and other obstacles. These stages are infinite and are meant to test the player’s skills by seeing how far they can go without dying. 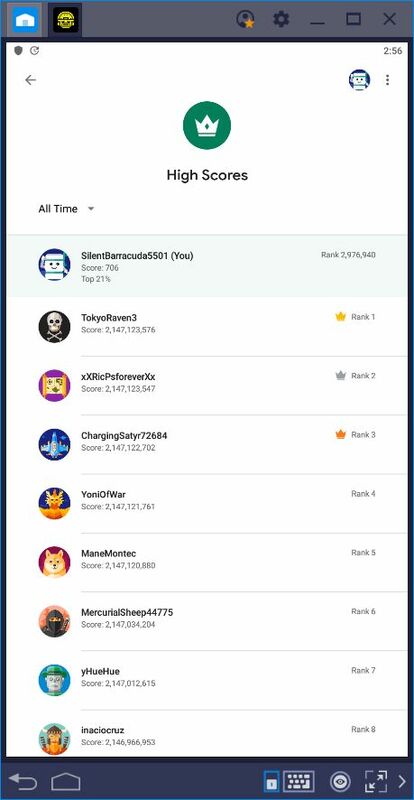 You can even submit your score via Google Play and see how you stand in the leaderboards: can you become the #1 in the world? One of the aspects that we liked most about this game is that it trains your reflexes and coordination. Even though most of you will likely play it to kill some time when you’re waiting for something, you are also training your skills at other competitive games. By challenging yourself to beat each stage as fast as you can without making mistakes, you will slowly improve your hand-eye coordination, which is an essential skill for competitive multiplayer games like Brawl Stars or Mobile Legends. Furthermore, once you start to develop precision by beating each stage with as few movements as possible, you will also notice improvements in games such as Free Fire and PUBG. 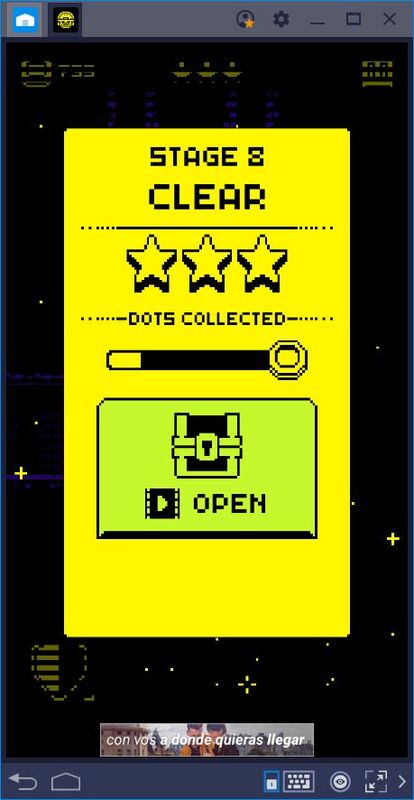 In fact, using our BlueStacks tools can really make this game a challenge as you try and beat each level as fast as you can, using your instincts instead of your brain. Through our improved control schemes, you can focus exclusively on the task at hand without having to struggle with the controls. Give it a try and let us know what you think! Developer Playgendary managed to create a true gem with Tomb of the Mask. However, their business model detracts considerably from the overall experience. Particularly, the prevalence of advertisements. Every action results in an ad. Beat a stage? Watch an ad. 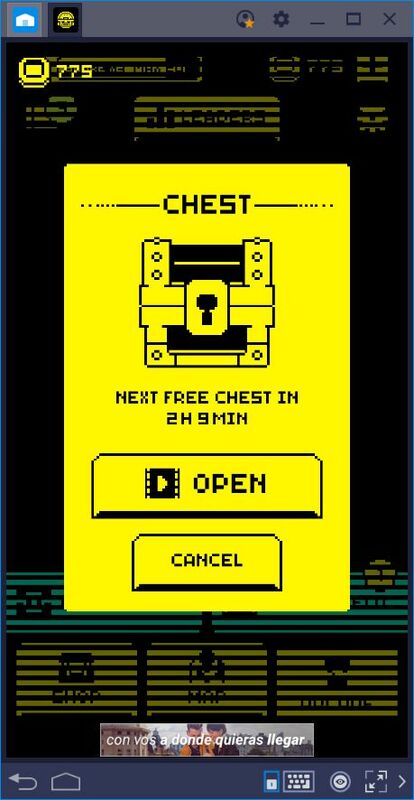 Want to open a chest? Watch an ad. Finished a round of Arcade Mode and want to try again? Ad. Everything is ads in this game. However, while this issue is irksome, at most, it does nothing to take away from how fun the game is when you’re actually playing. On any other occasion, we’d suggest for you to skip it, but since the game is so entertaining, it gets a pass from us. Nevertheless, we’re crossing our fingers to see if they decide to do anything about all the ads. 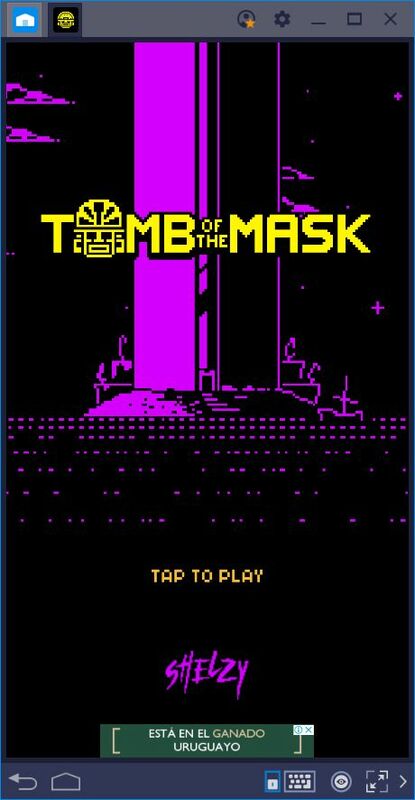 Tomb of the Mask is a great arcade game, perfect for killing some time while you’re at home. Its puzzles will challenge your skills and reflexes in every stage as you try your best to brave the depths of every dungeon. Do you have the grit to buckle down and beat every stage? Download it on BlueStacks and find out!